1666The township of Newark settled in May by immigrants from Connecticut led by Robert Treat. 1667The Rev. Abraham Pierson, first minister, commenced his official duties in Newark. 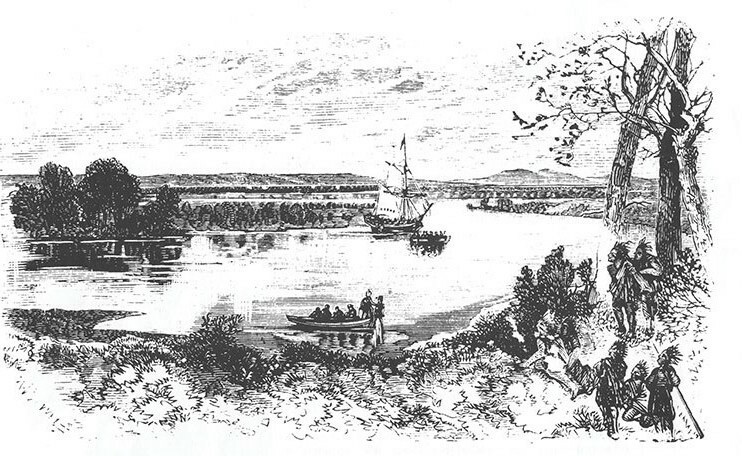 The Hackensack tribe was compensated for exchange of lands by Captain Robert Treat on March 13. 1668A meeting was held at Divident Hill to fix an official boundary between Newark and Elizabeth. Nine men from Elizabeth and Newark selected Divident Hill and Weequahic stream as the dividing line between the two communities. 1669On May 24 the first five selectmen were chosen. 1670It was agreed that the salt meadows would be divided among several Newarkers. 1672It was agreed that any 20 freeholders could transact the business of the township. Robert Treat returned to Connecticut, where he later became governor. 1673All male residents were put on alert because of possible hostile behavior of area Native Americans. 1674New Jersey was restored to England and Philip Carteret returned as governor. The historic Meeker House was built in the southern part of Newark and stood until 1933. 1675Worries mounted over a Native American attack. 1676	Governor Carteret granted a warrant for 200 acres of land, meadows for parsonage ground, landing places, a school, townhouse and marketplace. Newark’s first school was established. John Catlin was hired to teach children and servants as much English reading, writing and arithmetic as he could. Joseph Waters was chosen “Packer of Meat for the Town” according to an order of the General Assembly. 1677David Ogden was chosen messenger for the town court and John Curtis was named treasurer. 1678Newark’s township boundary was extended west to the top of the Orange Mountains. 1679For better township security, it was decided to have a night watch. 1680The township of Newark agreed to enlarge the town boundaries. The township decided that no planter could invite outsiders to settle in Newark. Violation costs: 5 pounds. 1682Gov. Carteret noted: “At Newark is made great quantities of cider, exceeding any we can have from New England, Rhode Island or Long Island.” Thomas Johnson was chosen town treasurer, and Edward Lyon was named fence viewer, the person who enforces fencing laws. 1683The first poor person was provided for by town authorities. 1684A committee of 12 men was chosen to deal with the governor of the province. 1685It was agreed to pay those who killed wolves, 5 shillings a head for each grown animal. 1686Joseph Waters and John Brown Jr. were selected to “seal measures and weights” in the township. 1690John Turner and Thomas Ludington were selected by the town officials to survey the Newark Swamp. 1692John Prudden was called to be Newark’s third minister, with an annual salary of 50 pounds and free firewood for as long as he was so employed. Welfare aid was extended to the community’s poor. 1693Joseph Wood was admitted to the town as a planter. 1694John Treat and Azariah Crane were chosen as deputies for a yearlong term. 1695The first sawmill was built in the township. 1696By virtue of a patent granted by the Proprietors of East Jersey, the public lands and streets were vested in John Curtiss, John Treat, Theophilus Pierson and Robert Young. 1697John Lindley was chosen as fence viewer. 1698The first tanning business was established by Azariah Crane. 1699Edward Bell was selected township constable for the year. All columns are Copyright 1996-2005 The Star-Ledger. All rights reserved. Reprinted with permission. Images that accompany the columns may not be used commercially without permission.